"Mom, don't just listen to what people are saying, but try it out yourself." Of course, he's right. I haven't had a lot of time but let's rundown the facts as I know them today and as I played with these tools. Just remember, that there are some great things but there is also a whole lot of commercialism in these new apps and ebooks for education. 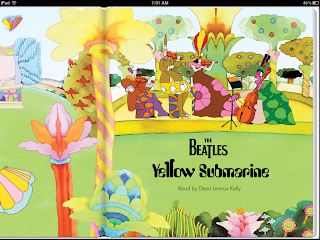 This is an upgrade to the iBooks you already have. Update the app. 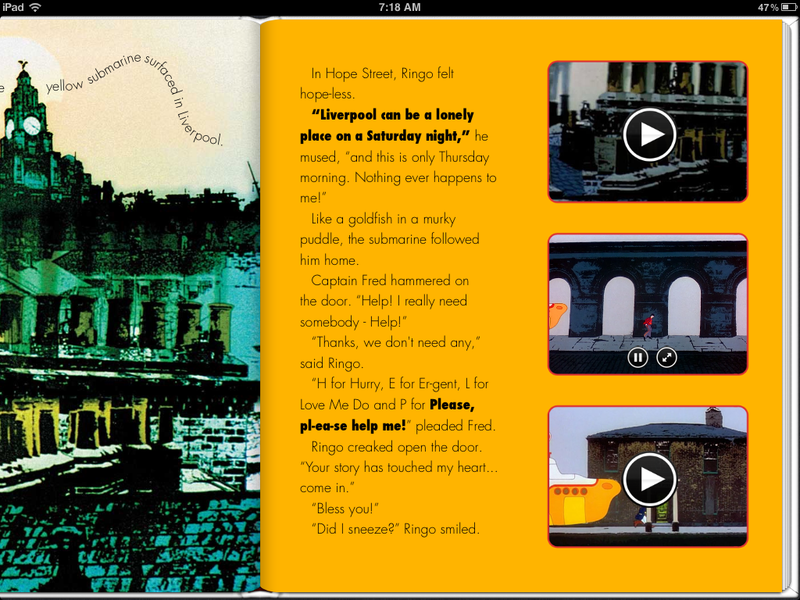 Here is my live blog of my first experience with an interactive iBook, maybe it will save you some time. 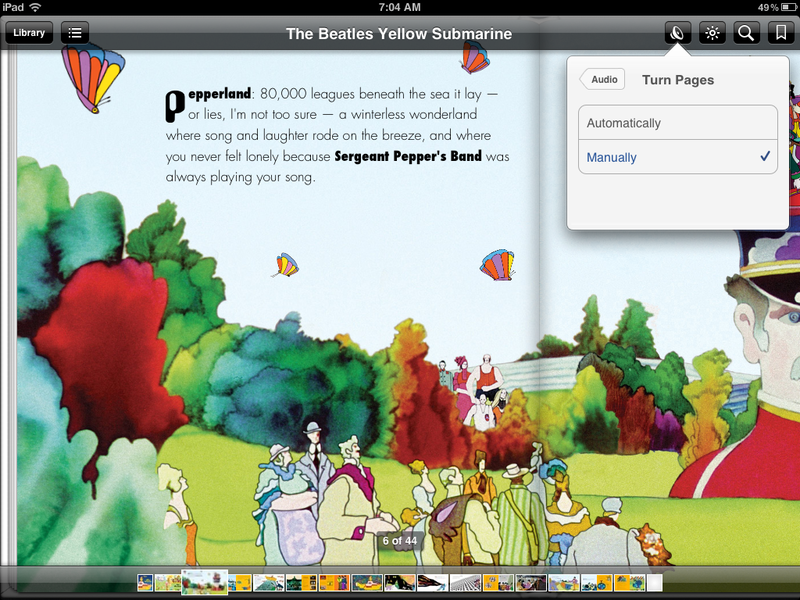 I downloaded the Beatle's Yellow Submarine Interactive book and it took 7 minutes to download. 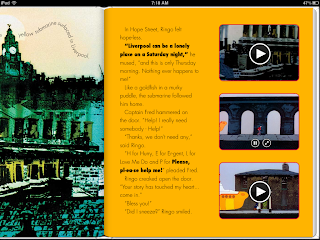 Expect interactive books to take more bandwidth and more time to download. The iBooks I looked at are designed to be shown in portrait mode and do not resize when moving to landscape (I'd like to see a table of contents on the left of some kind appear when I switch orientation.) it isn't usually a problem because it looks like that some are designing the right side of the left page to be included in the other side and vice versa. 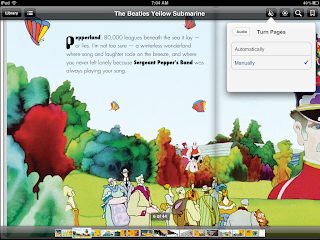 I expected to be able to click on things that moved in the Yellow Submarine book and interact with it. I know it isn't a great example, but I figured that a demo would show off the features of this technology. This is not a game but somehow I expect it to be. 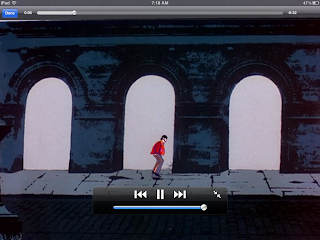 You click on a page and then sometimes music will play or it will play just as you flip. It is hard to understand what you're supposed to do at the beginning of the book. I have to wonder if somehow the credits and forward pages may move to the end because you spend the first couple of pages being clueless. It wouldn't hurt to have a "how to use this book" at the beginning of a book. You have to touch the bolded words to hear noise. This pepperland book is supposed to be read by "Dean Lennox Kelly" but I can't figure out how to get Dean to read it to me no matter what I do. About 2 minutes later, I finally figure out that if text is black and bold that when I touch it that it does something. Still can't figure out how to get Dean to read it to me. After 5 minutes, and after looking at the buttons, I've found that there is a button I hadn't noticed before. It looks like a speaker and shown in the following two screenshots. It can read it to me and I can ask to turn the pages manually or automatically. I give it a try. Now, this is something I can be excited about. As shown in the video below, it is reading to me and highlighting the words as it reads. This is dual-coding or multisensory learning in practice. We know that seeing and hearing helps improve learning. This one thing is going to have me with my dyslexic son using this to help his reading. Awesome! Oh, so, now I get to a page with not one but three videos on it. Oh dear, I have to figure out how to stop the book and I do, it is in the same place in the top right hand corner. The video is very simple. 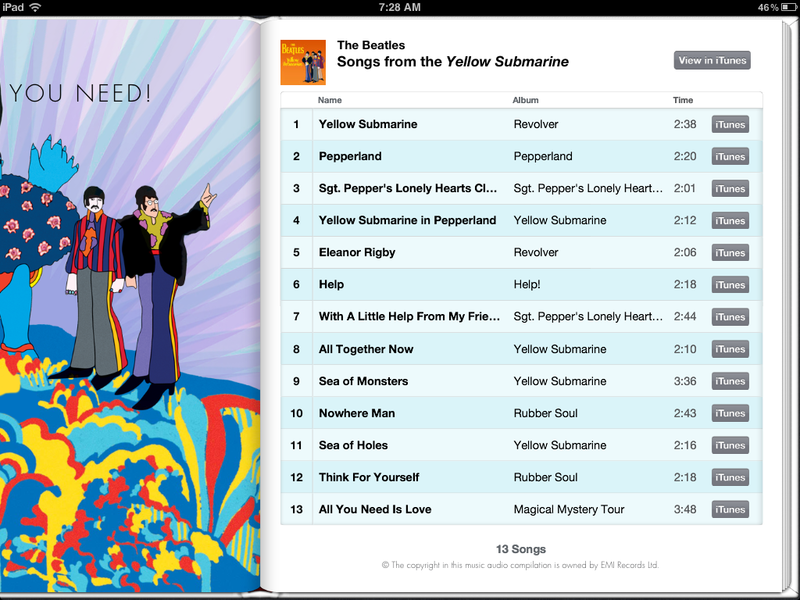 I thought that the videos would be triggered when I clicked the text, however, the text plays clips of Beatles songs. You have to click the videos to watch them. 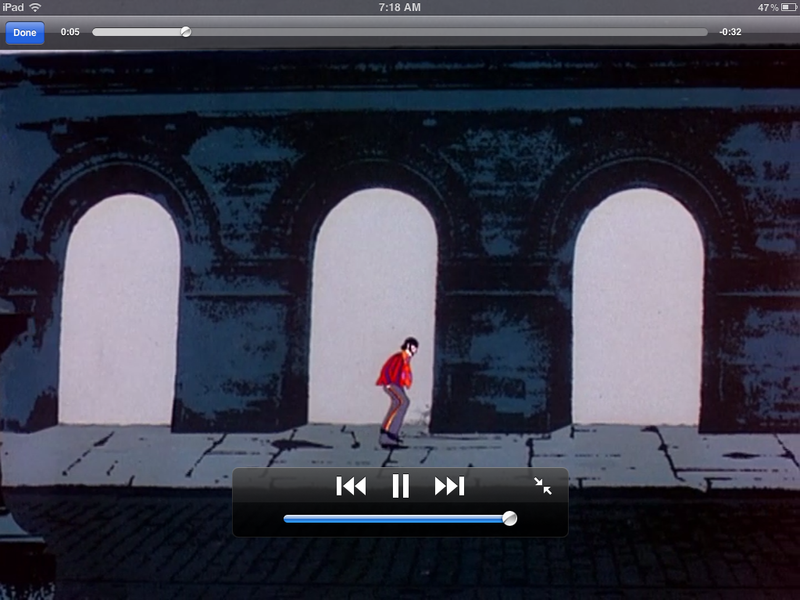 Just after you click, there is a small button beside the pause button that will take the videos full screen. It takes a moment to figure that out. You can take the full video smaller by clicking the two arrows pointing at each other, or end it and go back to the book by clicking Done. Then, I come upon a page and accidentally click a little bird in the corner and it inhales the creatures on the page. I want to film it and can't figure out how to reset the page, but finally see that if I go back to a previous two page set and then return to this page that it is reset and I can play it again. Hmmm. How many of these little hidden things have I missed? link to my preferred PDF reader on my iPad. The problem with the application is that when I attempted to fill it out on my iPad using Safari, the form got stuck after I entered my zip code, which makes me wonder if Apple's own developers are in the habit of testing their forms on the iPad. 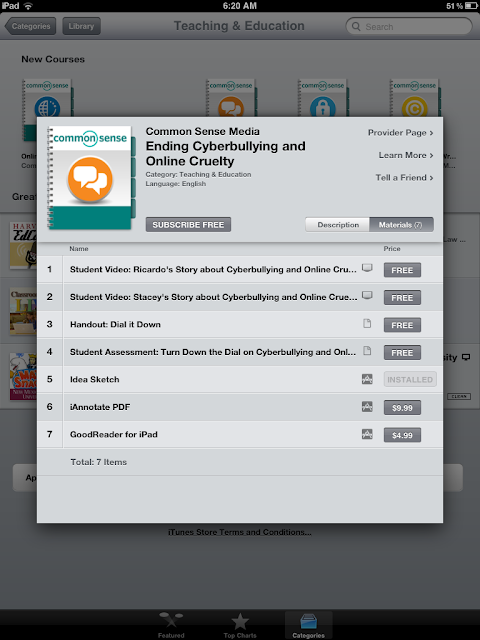 You can build a course on iTunes using their web interface. This means that not only will universities and schools be able to have courses online but the "free" courses can come packaged with pay-for textbooks, apps, and other items. There are many layers to this and free doesn't always mean free. Overall, we know that ePaper is here. 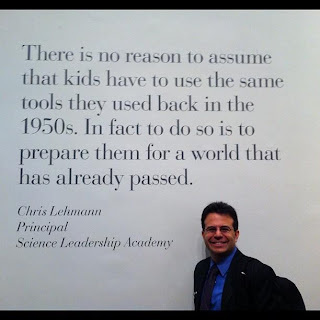 It is going to part of student's lives. 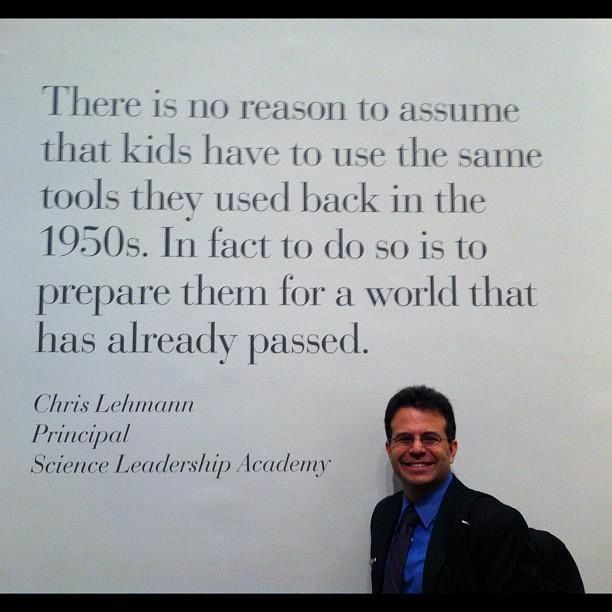 There is still a place for "real" paper but we need to determine and learn which is appropriate for which activities. Enjoy, play and share so we can learn together. I hope you'll share with me in the comments so I can learn what you've experienced. I'd especially like a really good iBook Textbook to review and understand. iTunes U sign up Form - If you want your school to distribute content.